I’ve had many readers inquire about the type of yeast to use when making Whiskey, Bourbons, Rum, Gin or Vodka. It’s very important to select the proper yeast as it will have a effect on the final flavor of the product. I’ve put this article together to help you make that decision. Let’s get started. Yeast are one of the most important components in your wash weather your making a Sugar Wash, Grain Wash or Fruit Wash. Remember Yeast are the one’s converting sugar to alcohol in the fermentation process so without them there wouldn’t be any Alcohol. Yeast also have a major impact on the flavor of your final spirit. The aroma and flavor from whiskey, rum, gin and moonshine arises during the fermentation process and thus choosing that proper yeast and keeping them happy during fermentation will leave you with an end product that tastes better then any store bought spirit ever could. How Does Yeast Make Alcohol? What basic conditions do yeast need to thrive? Correct and Even Temperature – The Correct Temperature will depend on the yeast strain that you are using for Fermentation. Check the back of the packaging for the correct Temperature and try to keep it within that range thought the fermentation. it is important to maintain the correct fermentation temperature because if the yeast get to hot they will become stressed and die to cold and fermentation will stall. Oxygen – Oxygen is an important component to the Fermentation process that many people don’t consider. It’s presence is required at the beginning stages of the fermentation as Yeast needs oxygen to reproduce. When oxygen is absent the yeast will begin to produce alcohol and will cease to reproduce. You can aerate your wash by string it vigorously or giving the carboy a good shake before adding the yeast. Nutrients – Yeast is a living organism and therefore needs nutrients to survive they can’t simply survive on sugar alone. If your doing a grain wash with malted barley, rye, or wheat, geared to produce a wash alcohol of 5-10% there will be enough nutrients present to keep your wash healthy. However, if your planing a sugar wash or a grain wash with an alcohol content higher than 10%, you should add fermentation nutrients to avoid any nasty smelling or tasting byproducts that unhealthy yeast will produce. 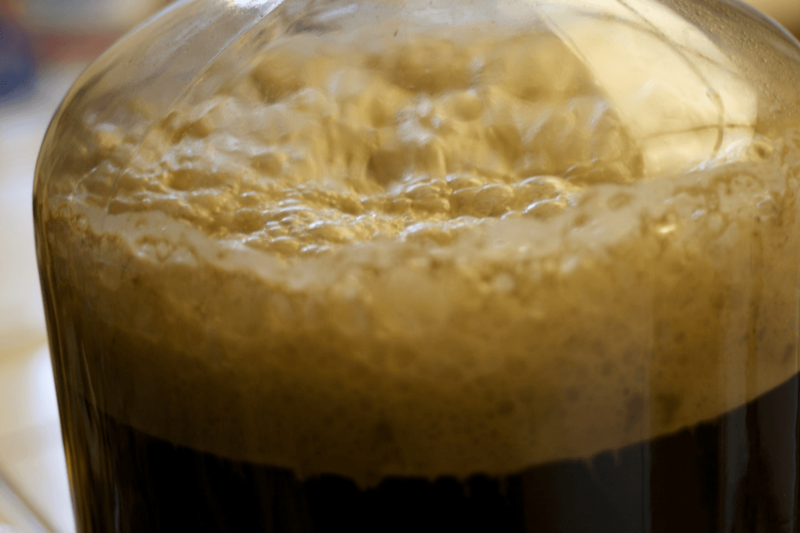 What problems can arise when yeast are stressed? If you’ve created a terrible tasting rum, whiskey, vodka or moonshine in the past and can’t figure out why it turned out so bad. The reason could be “Stressed yeast”. Sulfur – Everyone knows that Sulfur gives a flavor of rotten eggs which no body want’s to sip on over ice. Sulfur naturally gets removed from your wash by CO2. The more vigorous the fermentation, the less sulfur will be present at the end of the fermentation. You can achieve a healthy wash by creating a Yeast starter which will help the yeast to rapidly reproduce initially. Keep the temperature steady and make sure there are plenty of nutrients. Copper is also great at removing sulfur so if the plan is to distill your wash you won’t need to worry about the sulfur. Fusel Alcohols – If you’ve had a wicked hangover after drinking a bottle of Moonshine Fusel Alcohols are to blame. This group of chemical compounds have no distinctive aroma or taste, but will give you a killer hangover. Fusel alcohols can be removed during the distillation process by cutting the tails. To learn more about his process check out our Cutting tails procedure To keep the production of Fusel Alcohols to a minimum you should ferment your mash as close as possible to the recommended temperature and keep it as steady as possible. Overly Dry – If there is a total lack of sweetness or taste in your wash, your yeast might have powered through the mash and eaten all of the good stuff themselves. Champagne yeast and distillers yeasts have a tendency to do this. Overly Sweet – If fermentation stops and your wash is still very sweet you’ve probably ended up with a high concentration of non-fermentable sugars this could be caused by incorrect temperatures when making your mash in the case of a grain wash. If you are using a sugar wash you’ve either got a stalled fermentation generally caused from low temperatures or your yeast have died off due to high temperatures or lack of nutrients. The end result is the same, a low alcohol yield. Phenols – Phenols produce a plastic / medicinal/band-aid taste to the wash. How can you stop the production of Phenols ? Well start off by not using chlorinated water. You should also make sure all equipment used in the fermentation process is properly sterilized and a air lock is used during fermentation. 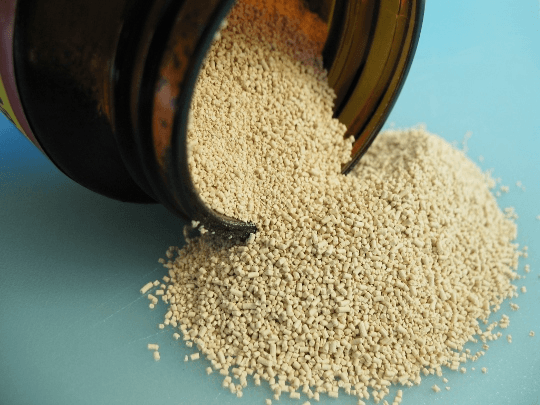 Wild yeast contamination can contribute to the presence of phenolic compounds so a properly sterilized environment is key to reducing the production of Phenols. Acetaldehyde – Has the smell of green apples and can also cause bad hangovers. How can you eliminate the production of Acetaldehyde ? Acetaldehyde exists in high concentrations when mash is not allowed to finish fermentation. So always allow it to finish up don’t be in a rush. They can also be produced when wash is aerated in the late stages of fermentation or when it is allowed to sit for long periods of time after fermentation is finished. How can you Remove Acetaldehyde from your Moonshine ? Acetaldehyde has a very low boiling temperature so they will all be striped out of the final product. Unless of course you decide to drink the foreshots which is a really bad idea ! What Types Of Yeast Are Used To Ferment Moonshine Mash? When your selecting a yeast for your mash there are several factors that are important to consider including: Final alcohol content expected in mash, Ferment temperature and the product you are fermenting weather it be sugar, grain or fruit. By selecting the proper yeast you will ensure you get a complete fermentation and a great tasting final product. Wine Yeast – Lavlin EC-1118 is available in most home brew shops and is typically used to ferment wines but works great for sugar shines with high starting ABV. It ferments well between 50 F and 86F and has a high alcohol tolerance of 18% . EC – 1118 is also great to use when making a fruit wash. Turbo Yeast – I’ve used a number of different Turbo Yeast in the past and have had good results. The nice thing about Turbo Yeast is that it ferments faster then other strains and has a very high alcohol tolerance generally between 20 -23%. I’d suggest only use half the nutrients included in the package. If your making a whiskey or rum Turbo Yeast isn’t the best choice. I’d only recommend using Turbo Yeast for vodka because during distillation you strip all the flavor out of your product. Generic Distillers Yeast – Generic distillers yeasts such as Super Start will give you good results and when you compare the cost it’s a no brainier. You can buy this stuff by the pound at your local brew shop. The Best Yeasts For Distilling. Bread Yeast – If your making a rum or corn whiskey mash recipe Bread yeast is one of the best yeast for the job. Not to mention it’s easy to get your hands on. Just head down to your local grocery store to pick some up. Bread yeast will leave a great flavor in your final product. To learn more about using Bread yeast in Rum, Whiskey, Bourbon or Moonshine Mash recipes read our article Bourbon, Whiskey, Vodka and Moonshine – How Much Yeast?. 2 Responses to "Yeast Selection For Fermentation of Grain, Fruit Mash and Sugar Wash"
i am using pure honey for mash,could you tell me what yeast would be the best?Also should i ad nutrient? So your making honey moonshine ? I’m assuming you’ll be running it in a pot still to maintain some flavor from the honey ? You could use lalvin D-47 yeast and I’d add some nutrients to it. As your basically making a sugar wash. Just keep in mind honey is only 80% or so fermentable sugars.